Every time there’s a new skincare brand comes into Indonesia, I get excited. Because the more the merrier! We all know we need more variety of skincare offerings here, don’t you agree? The new-ish brand that recently landed on Sephora Indonesia is a brand that is new to my ears. But having to do a little bit of research beforehand and got invited to the intimate gathering/workshop last week, I have a better understanding about the brand’s history and philosophy. 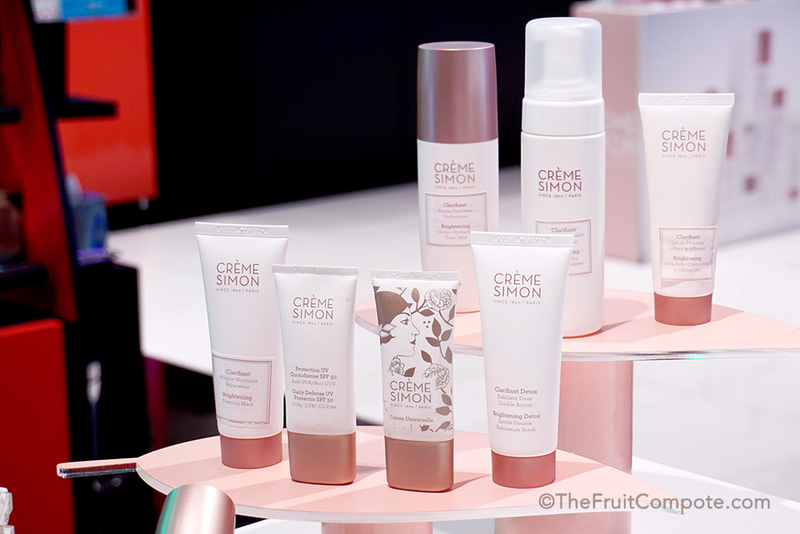 The event is hosted by Natalie Seah, Sales Manager of Crème Simon. She also shared quite a few tips and tricks! Without further adieu, here’s Crème Simon. 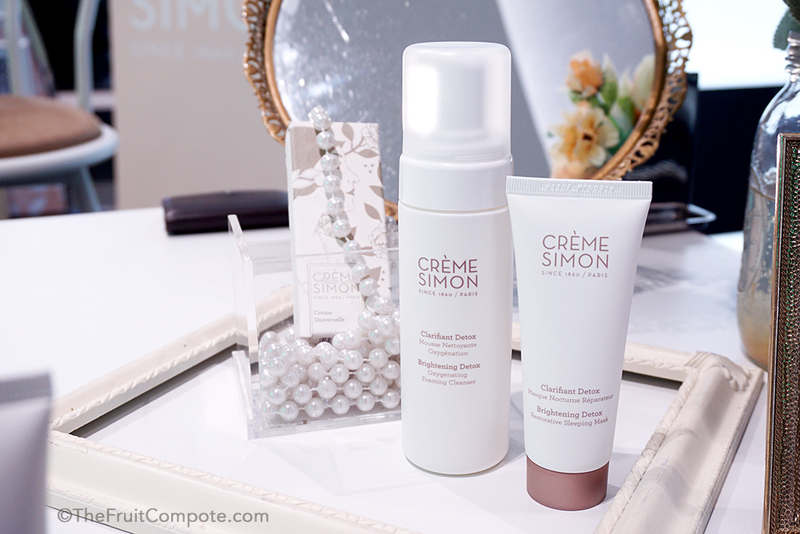 Crème Simon was founded by Joseph Simon in 1860 in France. He was a gifted young apothecary, who loved to take long walks along the River Rhone. The sight of laundresses working by the great river inspired him to seek a natural remedy to relieve their dry, chapped hands. On his experimental journey, he made a breakthrough discovery: a pure concoction of seven carefully selected flowers and plants with incredible healing properties. Thus, the first stable cream was born. The women were amazed. As word spread of this miracle cream, they delighted in the discovery of extraordinary results on their complexion. Joseph Simon’s humble remedy soon became Crème Simon, the era’s most coveted beauty treatment – prized by film stars; sold out in Paris, New York, and the Far East Orient; and passed down from mothers to daughters as their secret to beautiful skin. The new, rediscovered brand offers a Brightening Detox range which consists of 12 different products that work in synergy with one another. As of today, there are 7 products available exclusively at Sephora Indonesia. The heart of the formula is the Activ-Fleur Complex which consists of pure botanical extracts: Damask Rose, Jasmine, Iris, Patchouli, Neroli, Tonka Bean and Vanilla Bourbon; all harvested from France. The scientific tests proven that this will help in boosting the skin’s radiance, skin cell regeneration and oxygenating properties. The Brightening Complex (consists of Rose, Iris and Jasmine) intensifies the detoxification process for that brightening result. The Wheat Oligosaccharides Complex is extracted from whole wheat using sustainable green chemistry will provide deeper penetration and prevents melanin to form. All of the products are manufactured and packaged in France. The brand prides itself in using natural formulations without the controversial ingredients such as parabens, alcohol, silicones, sulfates or colorings. It does however, contain a small amount of fragrance (floral scent). Natalie said because of the natural ingredients, the products don’t necessarily have a nice scent to them. The brand believes in pampering yourself and that sensory experience, hence adding the fragrance. If you are sensitive to fragrances, then this is not for you (gotta love the honesty here). 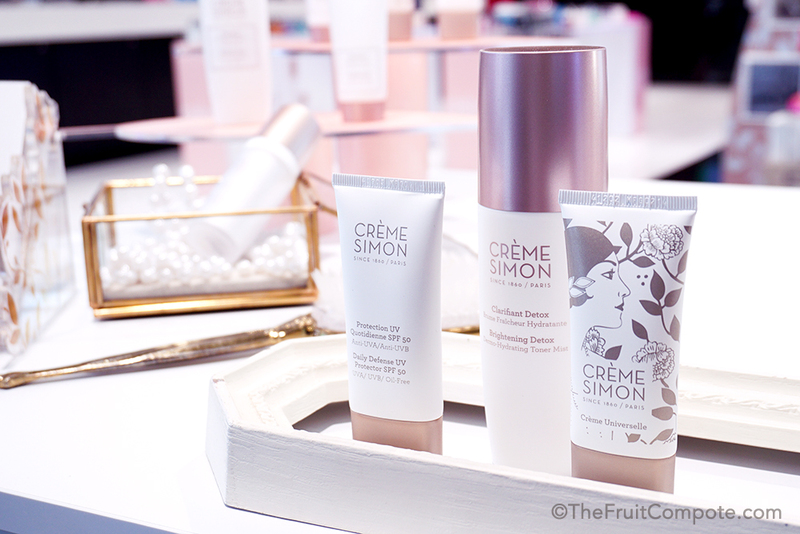 Joseph Simon believed that the skin’s needs are defined by where you live, which is why Crème Simon skincare line is climate-customized. What it means is that the line offers lightweight textures for hot summers/climates and also enriched textures for deeper nourishment for cold wintertime and dry weather. For example, the Oxygenating Light Day Moisturizer has a cream version for the cold & dry climate. So is the Restorative Light Night Moisturizer has a sister with a richer cream texture. Both products aren’t available yet at Sephora Indonesia. During the workshop, Natalie also shared some of her favorite ways of using Crème Simon products to reach the maximum potentials and to suit one’s needs. I think this is where it gets exciting because it involves creating simple solutions for different skin types and lifestyles and also combining different products at one-go (which is something that I like to do myself). For example, for a quick pick-me-up after pulling a late-nighter, after using Oxygenating Foaming Cleanser (IDR 587,000), you can go straight applying Restorative Sleeping Mask (IDR 677,000) and leave it on for the night. If you’re wearing a heavier makeup, please use a makeup remover first before the cleanser. The Foaming Cleanser is sulfate-free, produces a creamy foam and won’t strip off skin’s natural moisture. The Sleeping Mask has a gel texture with cooling sensation and absorbs fast into the skin. It’s soothing and can cool down pimples as well. For deeper cleansing, we can use the Foaming Cleanser with Gentle Double Exfoliation Scrub (IDR 677,000). Just use one pump of the cleanser and a dash of the scrub. This combo can be used 1-2 times/week. The Scrub particles are very small and refined with natural wheat and jojoba beads to really “get it in there”, if you know what I mean. That being said, I notice that the Scrub still contains polyethylene beads. I hope that Crème Simon will consider removing this ingredient and perhaps substitute it with something more eco-friendly. Crème Universelle (IDR 677,000), the brand’s heritage product, a well-loved remedy known for its natural healing power has been reformulated into a lightweight formula. It can be used for so many different purposes. Other than the ones described in the website, it can also be used to relieve mosquito bites and soothe pimples. To improve the condition of dry lips, use it as a one-minute lip mask. Apply it on the laugh lines and frown lines (wipe off the excess with Toner Mist) for smoother and plumper effect. If you have just undergone a peeling treatment and the area is parched, spreading this will help the healing process. Natalie advises not to use this for the whole face as it is very rich. She recommends this more for a targeted treatment. The Brightening Detox range will not be complete without sun protection. That’s where Daily Defense UV Protector SPF 50 (IDR 677,000) comes in. The lightweight oil-free sunscreen spreads easily on the skin. The hybrid of mineral and chemical fillers provide optimized UVA/UVB protection system. Natalie said that the sunscreen has a rating of PA+++. It’s not printed on the box because this rating isn’t common yet in western region. The brand hasn’t printed a different packaging for the Asian market. The sunscreen can be used alone and doubles as a makeup base. The award-winnings Dermo-Hydrating Toner Mist (IDR 548,000) also serves different purposes. It cleanses the face by spritzing it onto a cotton pad, wipe onto the face and you get a fresh, prepped face ready for the next step. It works as a hydrating mist with the feminine floral scent for that calming relaxation. It can be used to set the makeup as well to get that dewy finish. Spray a little bit on the hair when you’re feeling a little muggy. Soaked a cotton pad and place it over blemishes. It may not necessarily heal the acne, but it can reduce the inflammation. The iconic Crème Universelle, the cream that started it all. Another versatile product is the Lymphatic Contouring & Lifting Gel (IDR 975,000). It can be combined with the Scrub for a moisturizing scrub. This is Natalie’s favorite way to achieve that instant brightening effect. First, remove the makeup with a makeup remover than continue straight to this step. She advised to use 3 parts of the Lifting Gel and 1 part of the Scrub. Massage it, add water to emulsify then rinse everything off. The Lifting Gel also works as a sleeping mask. Just massage it, dab the excess off, and leave it overnight. For instant hydration, apply a thicker layer and use it as a mask for 10-20 minutes. It can also be used as a cuticle oil. Of course, the name is not there if it wasn’t for the main purpose, which is facial massage. Massaging the face can help to slim and lift the facial contours, improve blood circulation, remove toxins and ultimately improve the texture of the skin, making it more supple and brightened. -> I can attest to this because I’m diligent in my facial massage and the results are fantastic. Albeit I use a different product but it’s the motion that counts. The 8th product that will hit the counter soon is Dermo-Active Floral Serum. Natalie didn’t want to give too much details on this but as a preview, the serum penetrates deeper into the skin, detoxifies the carbon dioxide so the skin breathes more oxygen. It regenerates the cell to boost skin’s radiance. It’s meant to complement the moisturizing regime, should be used under moisturizer. For intense hydration, Natalie said to apply a layer of the Serum then add the Sleeping Mask. If you are on the oilier side say in the T-Zone, this can also work as a moisturizer and you don’t have to apply a separate one in that area. Dermo-Active Floral Serum, soon to be launched. Let’s get to the technical side a little bit. 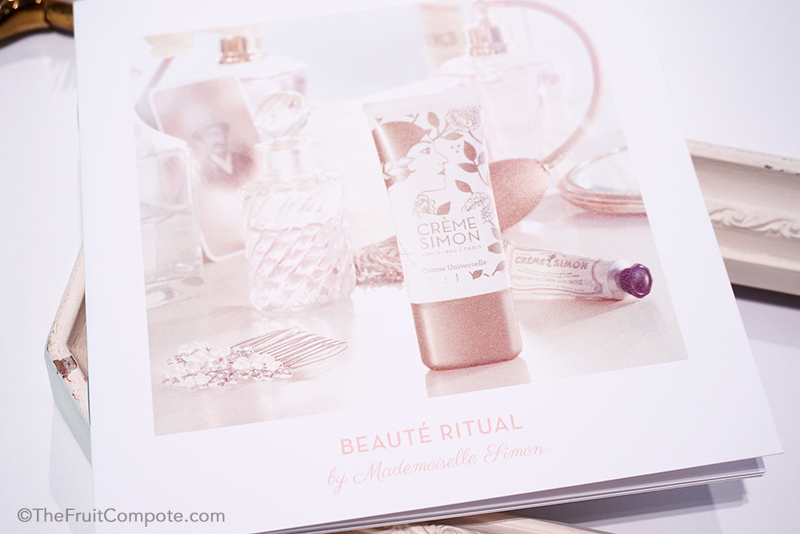 It’s peculiar that for a French brand, Crème Simon is nowhere to be found in, well, France. There’s a reason why. The brand is invested by Hera Capital, which is based in Singapore and the current Brightening Detox range is more appealing to the Asian market with the long history of wanting fairer complexion. So it makes sense for the brand to make its stance in Asia first before branching out to the western region. 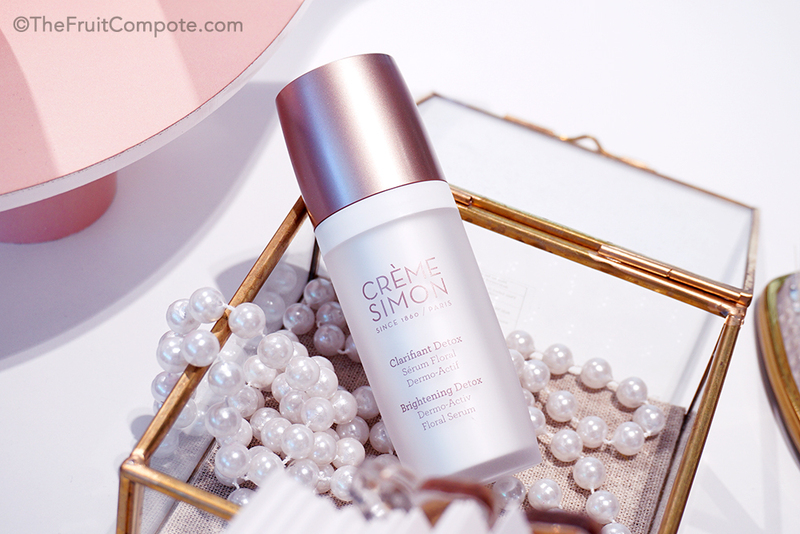 Crème Simon is currently available in Singapore, Indonesia, Australia and will be expanding soon to nearby countries such as Thailand, Hong Kong, Korea, etc. Upon researching, the flagship store will open in Paris at the end of this year. 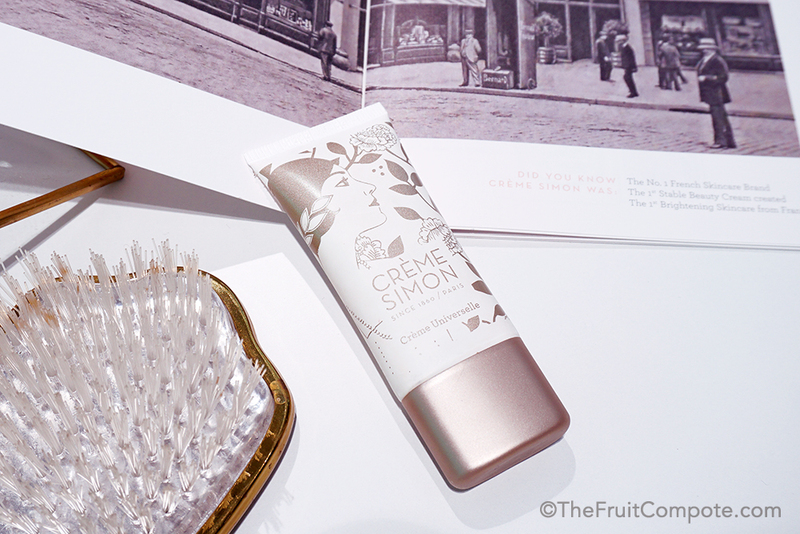 Well, I wish Crème Simon all the best in the expansion plans! Thank you Natalie for the super-detailed demo and passionate explanations! I learned quite a lot during this workshop and I hope what I’ve just shared above can help those of you who are interested in trying out the Crème Simon skincare line.